OPEN: Aster's Sprite and Banner Shop! Welcome to my shop! New things are still being added, so I will announce them here as they are coded. Be sure to sub to thread so I don't have to track you down. If you think there is something I could improve about a sprite I made, please point it out! I am always looking for ways to improve, so feedback is important. From time to time, I will have limited edition sprites. This means that they are only available for a certain amount of time, and are made by someone other than me. Look below for current Limited Edition sprites. Current holder: NightVisions101 Type: Gijinka In this type of sprite, a trainer is fused with a pokemon. Example: Price= PWYW (minimum is 20k /equivelant. I will make a banner to advertise something for you. It can be any sprite, including those not related to pokemon, pokesonas, or any sprite, really. Order form: Outline Asteroid, I'd like a Custom Sprite! 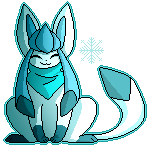 Username: NightVisions101 Pokemon: Froslass Details: whatever you think looks good Payment: 5k cr Other: Take your time ^^ Also could I do the limited edition sprites? Asteroid, I'd like a Custom Sprite! Username: Ameyoru Pokemon: Glaceon Details: Animated Recolor. 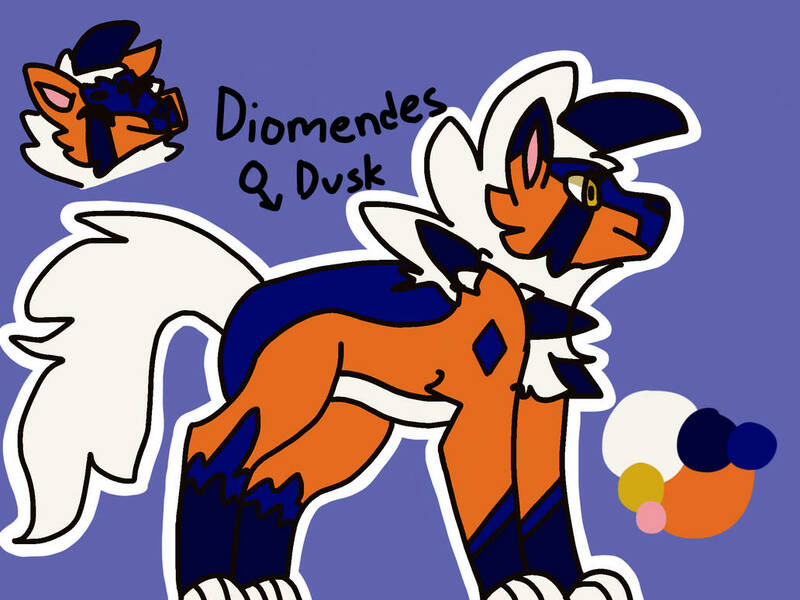 Could you please make it shiny and if possible draw on and add a teal scarf (like a pokemon mystery dungeon one) (for reference: link) Payment: 10k credits Other: It's okay if you cant add the scarf, I just was hoping for an animated sprite of my sona :> Aster, I need a banner pls! Username: Ameyoru Pokemon in bottom right corner: Shiny Glaceon (animated please!) Top/left Background Color: Dark blues Bottom/right Background Color: (fading from dark blue to a lighter dark blue) Text: The Snowed-In Shop Text Color: Teal Border color: White Payment Method: 10k credits Other: Style 3 and some stars around the banner! Working on all 3. NightVisions, yes, you can host the limited edition. 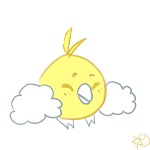 Ameyoru, Since the animation has over 100 frames, I cannot add the scarf. I would have to redraw it for every frame, and it would take much too long. I can make it shiny, however, with a palette swap. Asteroid, I'd like a Custom Sprite! Username: MX Pokemon: Delta Marowak (Permission HERE) and shiny gengar! Details: Yeah, just fuse 'em please! :) Payment: 1 box! Other: Your new shop is soooo pretty! Asteroid, I'd like a Custom Sprite! Username: MX Pokemon: Marowak (normal) and shiny gengar! Details: Maybe marowak is the base mon, and then gengar? Gen 5 sprites please! :) Payment: 1 box Other: Yay! Thank you, and have a great day!!! On it! Also: ANNOUNCEMENT! all finished sprites will be put into the finished sprites section in the main post. If you chec back within a day, your sprite will likely be finished. EDIT: Can you link to the sprite you want? 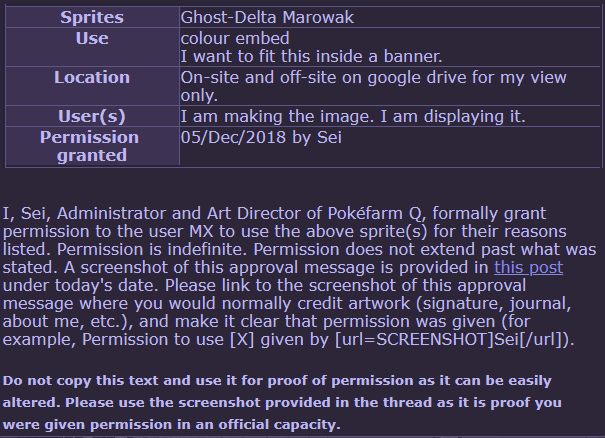 As in give me the image link of the delta marowak. I would like a custom sprite! Username: Okn Pokémon: Lyconroc (Dusk) Details: this but a sprite! Payment: credits! Other: thank you!